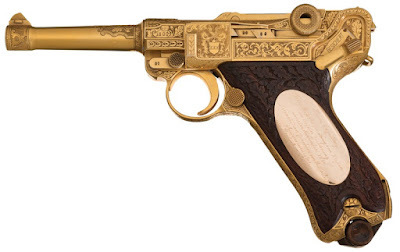 Rock Island Auction Company has a genuine Nazi Luger with paper trails to prove its ownership history. It was made for German Ministry, and the authentication letter from a Mauser rep from 1986 confirms it. It was given to Franz von Papen by Joachim von Ribbentrop, Foreign Minister of the German Reich. There are more Lugers available from the auction as well.